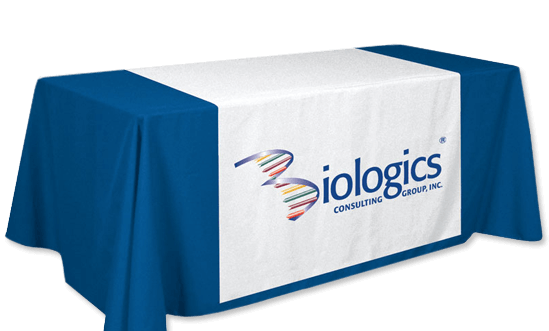 Our table throws and table skirts can take a boring trade show or college fair presentation and make it an attention grabber. With our wide variety of material and our talented graphic designers we can make your next show one that people are talking remember. Our standard throws are designed for 6' and 8' tables but we also have the ability to create custom throws and skirts. Give us the change on your next trade show to show you what the difference ABC can make.